An icy Arctic conundrum to be solved – Iceland VS Greenland – which one should you visit? It’s certainly a question we get often enough – which destination is better for Arctic expeditions: Iceland or Greenland? Although differences between the two abound, there is a lot they have in common: both are exceptionally picturesque (for different reasons) and both offer phenomenal chances for wildlife-viewing and adventures in spectacular Arctic wilderness. Figuring one which one is best overall is near-impossible although knowing a little about the two – and what sets them apart – will go a long way in helping you decide which one is ideal for you. celand seems to be the word on everyone’s lips nowadays, interest in the country rising swiftly in the last couple of years. And why on earth not? 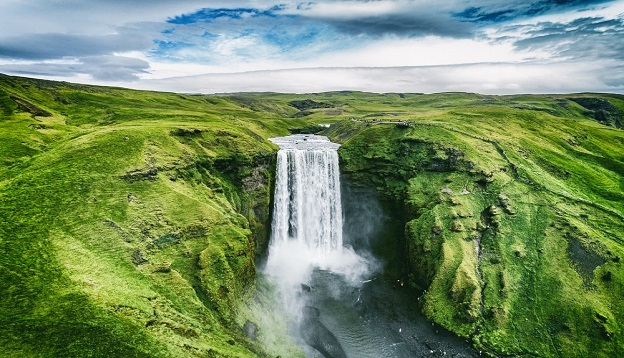 Iceland is truly sensational, a country revered for its incredible glaciers, dramatic fjords, jaw-dropping volcanoes, thermal springs, stupendous waterfalls and an absolutely colossal array of outdoor pursuits in striking wilderness that’s as lush and enticing as any you’ll ever see. Iceland speaks to the thrill-seeker and the nature lover, one who wants to indulge in both passions simultaneously. Its capital city, Reykjavik, is one of the most vibrant cities in the world, one boasting a wicked nightlife, fantastic dining, distinctive architecture and easy-going people. 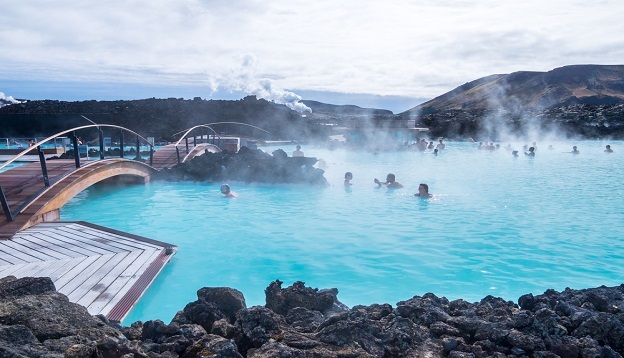 Visiting Iceland is as easy as booking a flight to Reykjavik and taking it from there – there’s really nothing excessively difficult about travelling to Iceland, a country that showcases more variety of landscapes than its name would ever lead you to believe. Iceland is simply a fabulous travel destination if you love to mix a bit of city-buzz with your outdoor adventures and have plenty of comforts and luxuries along the whole way. hen there’s Greenland, Iceland’s westerly neighbour. Head to Greenland after visiting Iceland and you’ll be excused for thinking someone got totally drunk and mismatched their names. 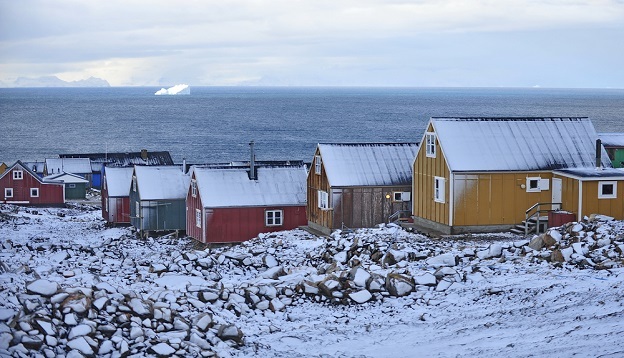 This magical icy wonderland is the most sparsely-populated non-continental island on earth. There are barely 50,000 in this enormous expanse of Arctic land, as opposed to 340,000 who live in Iceland, which is 21 times smaller. Greenland isn’t technically an independent country, per se, but and an island administered by Denmark, a country with which it has had a strong bond for hundreds of years. A handful of insanely picturesque villages dot the coastline, interspersed with awe-inspiring fjords, glaciers and fantastical snowy landscapes. There’s no road-infrastructure here so travelling is done either by helicopter or boat, both of which are expensive but immensely worthwhile. On land, you’ll meet a proud and traditional people, one that somehow treasures its isolation from the rest of the world. The local culture is unique and very fascinating, having developed its own tradition, customs, cuisine, art and costumes over the centuries – outside of the main towns, however, you journey is very much about Greenland’s overwhelming nature. Greenland is unlike any other place on earth, revered for its fast-moving icebergs, UNESCO-listed fjords, its breath-taking glaciers (Jakobshavn is over 50km in length!) and its utterly surreal atmosphere. Nuuk, the capital, is a quirky place to explore, framed by astounding mountains and flanked by icebergs and an incredible fjord. This isn’t the most picturesque town in Greenland but, being home to 17,000 hardy folks, it is the largest. Greenland is a hub for Arctic wildlife, both on its eastern shores – the Greenland Sea it shares with Iceland – but particularly on its western shores. Here is where you’ll find the Northwest Passage and Baffin Bay, the reputed ‘wildlife superhighway of the Arctic’. As opposed to Iceland, travel to Greenland necessitates some serious pre-planning. Everything should be pre-planned and pre-booked, Greenland is certainly not a country that facilitates last-minute independent travel. Which one is best for travelling, in general? There’s no denying that Iceland is better for travel in general given the extensive road-system, options for lodging and overall fabulous tourist infrastructure. You CAN certainly combine a city-escape and outdoor adventure by spending a few days in the capital and then either hitting the road to discover the magical highlights in its hinterland or joining an Arctic cruise to explore its rugged coastline. In this regard, Iceland is like any other country – fly in, get your bearings and head out, any which way you please. Greenland’s tourism infrastructure is still (almost) non-existent and although things will probably change one day, it hasn’t happened yet. Which one is best for Arctic expedition cruises, specifically? The picture altogether changes when it comes to Arctic expedition cruises, however. As far as we’re concerned, Greenland is tailor-made to be explored by ship and not just because there is literally no other way to get around – the dramatic coast of Greenland is its most glorious highlight, the marine life-enriched waters offering a multitude of wildlife on which to feast one’s eyes – whales, walruses, seals, narwhals, polar bears, muskoxen – you name it, and around Greenland is where you’ll find it. Moreover, and considering the fact that expedition ships offer all the comforts and luxuries you’ll ever need this far north, it is simply magical to explore an icy land that’s been left seemingly untouched by man. Wild as can be, rugged, unspoilt and unforgettable – Greenland ticks all the Arctic expedition cruise boxes in spectacular form. Whilst it’s impossible to name either country ‘best’ there are a lot of factors that point to Greenland simply being a more rewarding destination for Arctic expedition – least of all the fact that many of Iceland’s gems are found inland and the fact you could travel here at any time, independently. But Expedition cruises, by their very definition, hone in on the coastline and the open Arctic seas and if there’s one place that offers this in crazy abundance, it’s Greenland. The 2-for-1 Bonus – Iceland AND Greenland! Greenland doesn’t have the kind of infrastructure to support expedition cruises and considering it’s a hard place to reach, all Arctic expeditions to this region depart either from Spitsbergen (to the northeast) or, rather conveniently, Iceland. Reykjavik is the most genial starting point for cruises around Greenland because it’s conveniently located on the southeast of the country, just across the strait from Greenland. This means you can actually include a trip through Iceland alongside your expedition cruise to Greenland, doubling up on the Arctic highlights and making the most of your journey. On a cruise to multiple destinations, you can explore Iceland’s arresting eastern coast before crossing the seas to reach Greenland’s western coast – a better compromise than you could ever dream. 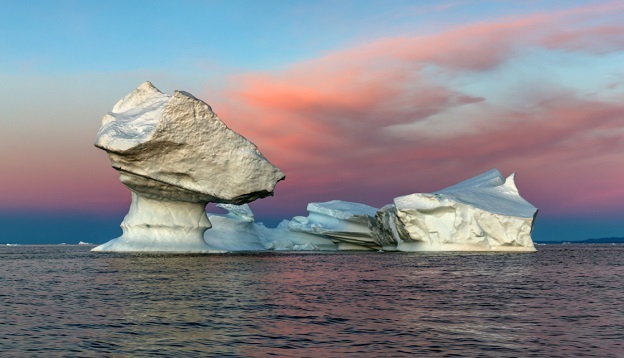 13-day Three Arctic Islands Expedition Cruise (this award-winning tour has all the hallmarks of an epic adventure, starting off in Spitzbergen and ending in Iceland. And there are SO many more options! See our vast collection Iceland and Greenland and you could find yourself in the best position of all – not having to choose! Contact us here for more personalised advice. Experience the wilderness of Iceland including the puffins of Heimaey Island, before taking the historic route of the Vikings, across the Denmark Strait to Greenland.